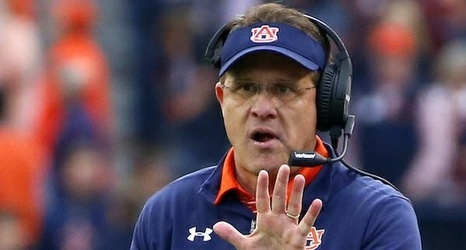 Upon Further Review: Too Little Too Late for Gus? Many Auburn fans were ready to turn the page on Gus Malzahn on the last play of the first half of last Saturday’s win over Texas A&M. Some fans across the nation had already all but moved on. Some of them moved on early this season. Others after Tennessee came into Auburn and ran the Tigers off the field. The dwindling few probably had that defining moment with 1:09 left on the clock in the first half. After the Aggies took the lead with another Trayveon Williams TD, a catch and run from 14 yards out, Auburn had a little over a minute and all its time outs to drive the field and try and answer the bell.